Who doesn’t love a fun donut tee? I had so much fun with this craft in partnership with Cricut and their Easy Press and Cricut Maker. Keep reading to see how you can make this donut t-shirt for yourself! If you are not familiar with Cricut and their line of products, I posted an introductory post earlier this month. 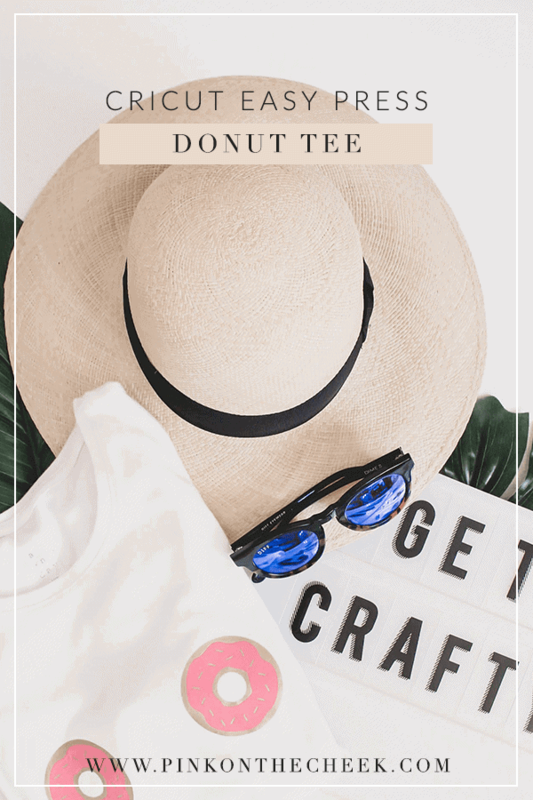 In this tutorial, I am going to show you how to create this donut tee using the Cricut Maker and Easy Press 2. I was inspired by A Taste of Koko and her Museum of Donuts tee shirt. So I knew I needed pink and gold vinyl and a donut svg file. 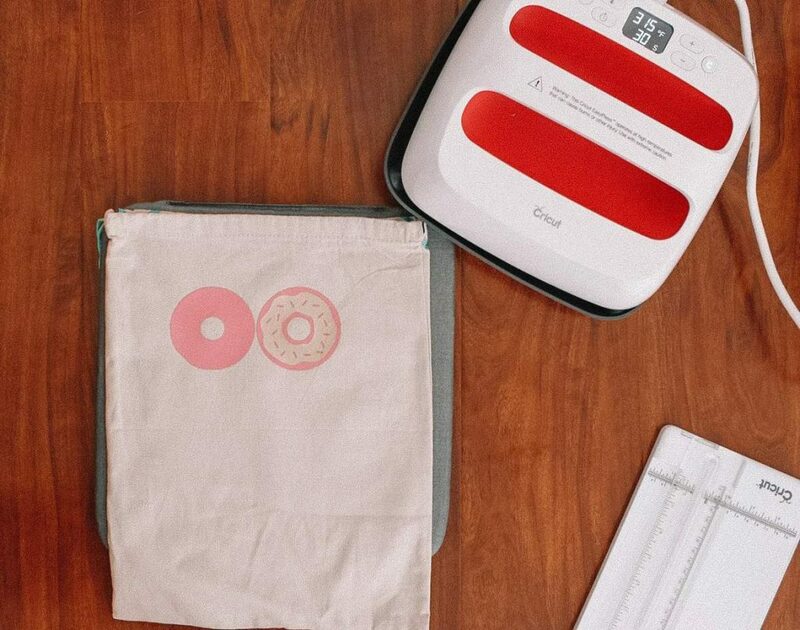 Luckily, when searching the Cricut Design Space, I was able to find an adorable donut SVG file from Studio DIY. Plus, there was a full tutorial on how to apply the vinyl to a tee shirt. In the tutorial, the donuts were placed on the elbows of a sweatshirt, but in this case, I put mine on the front of a shirt. See the full tutorial here. Since it was my first time using the Easy Press 2, I practiced on a spare shoe bag. I cut out the donut file, one color for the sprinkles and one for the donut. You can get creative and pick your favorite colors! Depending on the materials you are using for the Easy Press 2, you can view this interactive quick reference guide for heat settings. I appreciate that Cricut has a matching pad to use with the machine. The pad protects your surface area, eliminates moisture and directs heat to the iron-on design. It was a win for my test, so I was good to go for the donut tee. OMG, I kinda squealed when I was finished with this shirt. I think it’s so cute. 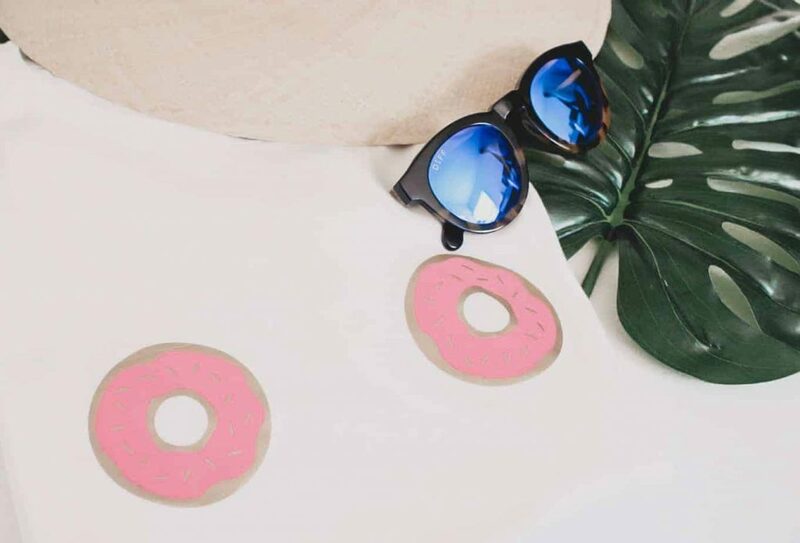 It would be so cute to wear at brunch, at the beach, or whenever you are feeling like eating a donut! This craft took less than thirty minutes and makes me want to make more shirts! 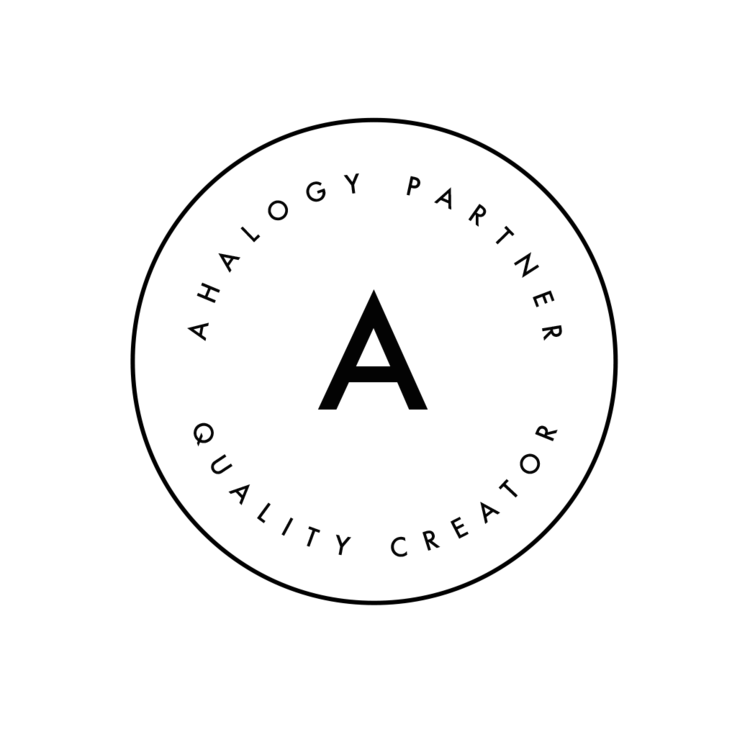 I am about to leave on a company cruise this weekend, so I am thinking of design ideas I can use for a shirt! 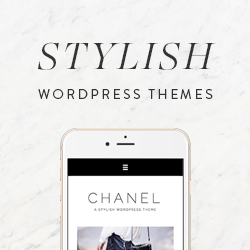 If you found this post helpful, share the pin below! This is super cute! I’ve been tempted to get a Cricut. This is cute! I always thought a circuit machine was for cutting scrapbook page stuff so never looked into it. I didn’t know it could do T-shirts I will have to check it out!